Airbnb launched glossy travel magazine. In six short years it has gone from startup to $10 billion business, rewriting the rules of holiday rentals along the way. It might come as a surprise then, that this digital pioneer should enter the world of print – however, that’s exactly what Airbnb has done. 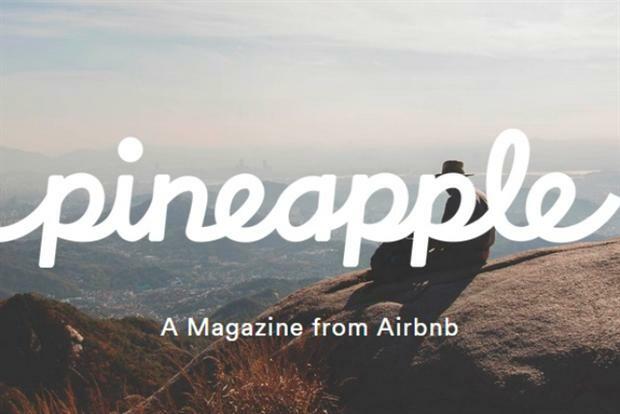 The result is Pineapple, a 128-page, ad-free magazine that hosts a variety of travel features from three of the company’s most popular destinations: London, San Francisco and Seoul. Airbnb is not alone in investing in the printed word; both technology news website CNET and online retailers Net-a-Porter and ASOS all have magazines to support their online offerings. This move from brands as advertisers to brands becoming fully fledged publishers marks a major shift in the marketing landscape and it is driven by three primary factors: capturing attention, influencing choice and conveying values. In an average day, consumers are exposed to more than 3,500 advertising messages – a figure that has increased tenfold since the 1970s. With competition so high, it has become increasingly difficult to hold a consumer’s attention. Unlike traditional advertising, content – whether it is editorial, video or in graphic form – makes a crucial leap from talking at consumers to sharing with them. This in turn makes content far more memorable – after all you probably don’t remember any of the ads in this morning’s paper, but there’s a good chance you remember one of the articles. The second problem that content addresses for brands is that of choice and standing out from the crowd. The Internet has allowed retailers of every kind to offer consumers a far greater range of products than would ever be possible in a physical premises. Paradoxically, however, this increase in choice can leave consumers struggling to make a decision and consequently making no purchase at all. Content helps customers to make sense of and navigate this plethora of choice. For example, 93 percent of global travelers say their booking decisions have been influenced by online reviews. For a company like Airbnb, creating content that becomes a part of this decision-making process is crucial to retaining market share. The third benefit content offers brands is that it allows them to establish trust in the minds of consumers, better communicating their brand and values. With trust in businesses at record lows following the recession, it is more important than ever to be able to develop relationships with your consumers, encouraging them to engage with your brand over time. Advertising can be highly effective in raising brand awareness, but it is becoming increasingly ineffective as the cost of acquisition creeps up. Content’s ability to capture and hold the attention of a consumer allows brands the opportunity to differentiate themselves. The caveat to all this is, of course, quality. If content is to capture attention, influence choice and conveying brand values, it must be created to a high enough standard that consumers will find both enjoyment and value in consuming it. The importance of quality is something that both Porter — placed under the command of a former Harper’s Bazaar editor— and Pineapple — printed in coffee-table quality and containing the work of award winning photographers — evidently understand. 2015 will, no doubt, see more and more brands joining the race to create engaging content; their objective should not only be to publish more, it should be to publish better. Ed Bussey is founder and CEO of global content-creation firm Quill.